We have a brother, the only brother in the world, and he is a foreigner. One must have a sharpened eye to recognize who is a Jew and who is an Armenian. Dr. Krolnik’s inspiration for these declarations was The Forty Days of Musa Dagh, a novel by the Austrian Jewish writer Franz Werfel. Werfel based his book on events he witnessed during the 1915 genocide of Armenians in the Ottoman Empire. Besieged by Turkish troops intent on massacring them, the villagers of Musa Dagh successfully resisted a forty plus day siege before their eventual rescue by French and British ships. Another Westerner who reported on atrocities against Armenians was Henry Morgenthau, Sr., the American ambassador to the Ottoman Empire — and a Jew as well. Following its 1933 publication, Werfel’s novel apparently became very popular among Jewish readers, who could identify with the plight of the Armenians during a time in which Europe was growing increasingly anti-Semitic. When Metro-Goldwyn-Mayer acquired to the rights to adapt Musa Dagh into a film, the Turkish government protested; facing the threat of a retaliatory Turkish boycott of Jewish business, MGM never made the film. Meanwhile, Hitler had the novel banned in Nazi Germany. 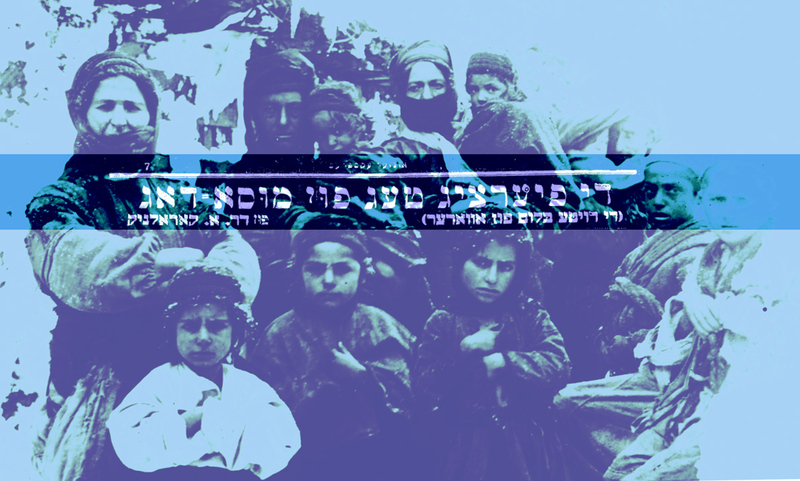 In the eyes of Zionists in Mandatory Palestine, Musa Dagh validated their worldview that the diaspora was an inherently dangerous, even deadly place for Jews. During World War II, the book helped inspire the Jewish inhabitants of the Bialystok and Vilna ghettos to revolt against their Nazi captors. Emmanuel Ringelblum, historian and chronicler of life in the Warsaw Ghetto, observed and recorded that Jews were reading Werfel inside the ghetto; he mused as to whether anyone wondered what those Armenians had read or thought in besieged Musa Dagh. After the details of the Nazi genocide became clear, readers marveled at how Werfel could have described such similar conditions and methods of murder in his novel, years before. One of the essays we ask students on the Helix Project to read before they travel to Eastern Europe comes from Michael André Bernstein’s book Foregone Conclusions: Against Apocalyptic History, and deals with the concept of historical “backshadowing.” “Backshadowing,” writes Bernstein, “is a kind of retroactive foreshadowing in which the shared knowledge of the outcome of a series of events by narrator and listener is used to judge the participants in those events as though they too should have known what was to come.” This mechanism is at work in the dominant contemporary narrative of Eastern European Jewish history: that nearly two millennia of Jewish life and civilization in Europe were merely a lead-up to its inevitable destruction in the years between 1939 and 1945. On a personal, non-academic level, backshadowing is the impulse, upon seeing a photograph of a Ukrainian shtetl or reading a poem from interwar Poland, to shake one’s head and say, “poor things, if only they’d known” before wondering which massacre or death camp claimed the lives incompletely contained in these artifacts. Such thinking, argues Bernstein in his essay, is ahistorical, morbid, and fatalistic, and this point is what we try to communicate to our students as we travel through Eastern European towns that once were home to thriving Jewish communities. To backshadow our way through shtetls and poems is to see nothing but death. As fully aware as I am of Bernstein’s warning against it, sometimes I find myself, too — automatically, almost viscerally — falling back on this kind of historical fallacy. I read the words of a Jew like Dr. Krolnik and, just barely resisting that urge to search for his name on lists of victims and survivors, find it hard to believe that he and the other European Jews reading The Forty Days of Musa Dagh didn’t sense their own approaching doom. In our apocalyptic history, we reduce the Armenian genocide (or any other genocide) to a series of abstract, tragically unlearned lessons — to ask which lessons sends us down a blind path of counter-factuals and victim-blaming. Do we really care what the people of Musa Dagh or Bialystok thought or read, what their lives were like before the apocalypse came, or nearly did, and history suddenly took notice? An old Armenian saying goes: ‘It’s no use having a brother; if it were of any use, God would have created a brother for himself.’ And indeed, so it goes: all of Christendom was silent, nobody raised a cry, nobody empathized. Only [Henry] Morgenthau, the Jewish ambassador from America moved worlds [for them], and only Franz Werfel, the Jewish poet, gave the world the saga of Armenia. It is of use to have a brother. 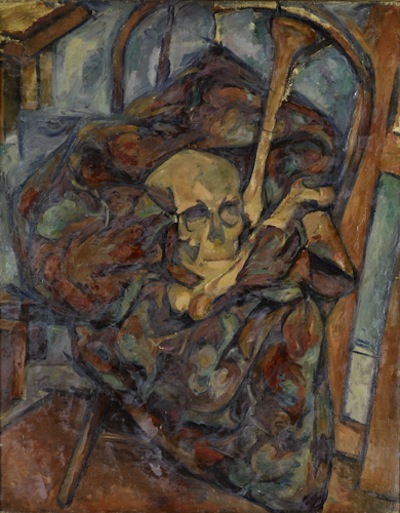 Arshile Gorki, “Still Life with Skull,” oil on canvas, c. 1927. If there is a Krolnik School of brotherhood and a Peretz School, I belong to the latter. With the right means, I could admiringly compare the architecture and chants of the Armenian churches and Jewish synagogues of Lviv, Tehran, Calcutta, Glendale, and Singapore. Or I could walk down Hollywood Boulevard and see how the old Yiddish printing houses lie in what is now Little Armenia, whose vibrant historical murals and memorials bleed into Thai Town, how both neighborhoods are now dotted with Salvadorean pupuserías and Pentecostal storefront chapels that blare out Spanish-language worship music on weekday nights. I could knock on each door and ask the people who answer about the books on their shelves, or what words like “genocide,” “diaspora,” “exile,” and “history” mean to them. I’m sure some would give me answers charged with particularism, parochialism, chauvinism; some would slam the door in my face. But I hope that some would take the time to speak, and tell me of crimes and triumphs I’d never heard of. The optimist in me doesn’t believe that the answers, though each unique, each crucial, would fundamentally be so different. It’s not unlike the way the Thai, Armenian, and long-faded Jewish letters on Hollywood Boulevard start to blur on their signboards when dusk falls and the world’s many stories — told and untold, recognized and denied — settle in for the night.